If you are looking for a city in Asia to base yourself as a writer or digital nomad then add Taipei to your consideration list. With 90 day visa on arrival for most western countries and unadulterated internet in Taiwan, Taipei is a good base for location independent types. 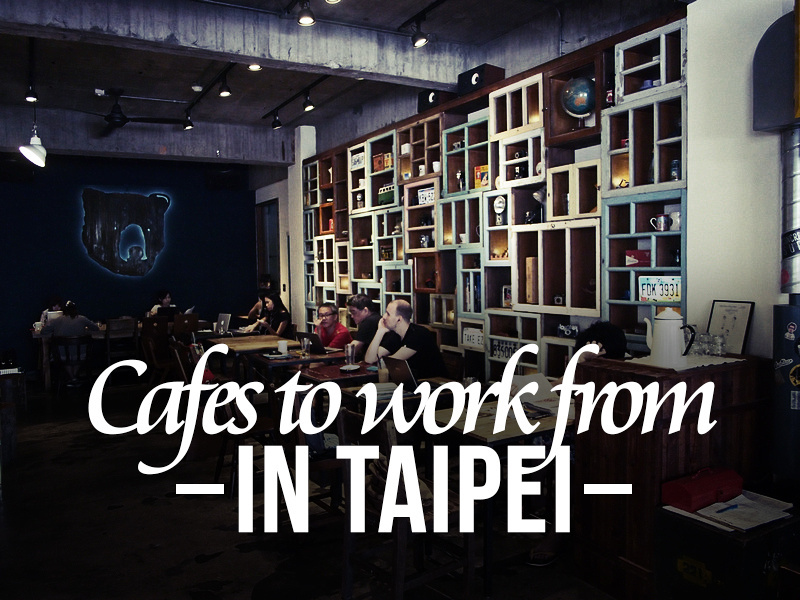 Taipei is well known for its food scene and soon it may be known for the cafes as well. I spent two weeks in Taipei which gave me enough time to visit the most popular cafes and explore some lesser known ones. It’s an odd cafe scene. 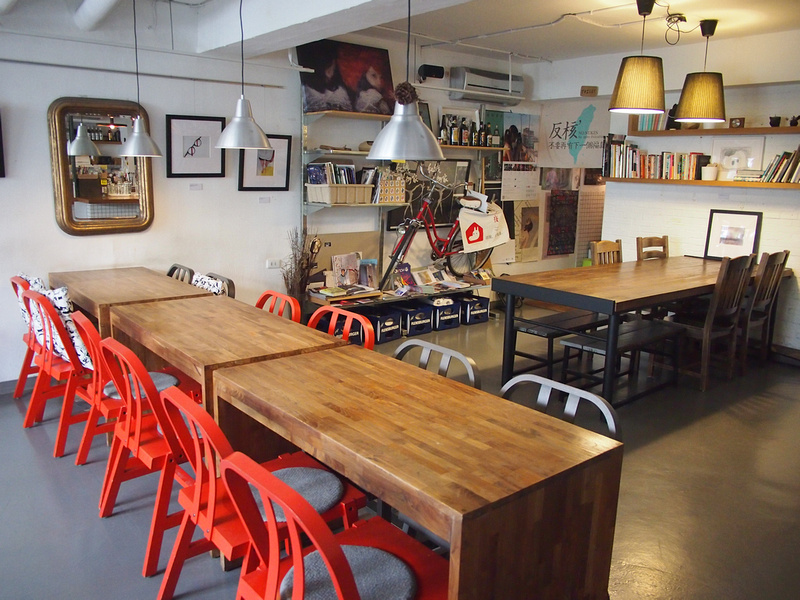 Some cafes look like they are straight out of Brooklyn, while some are just gaudy cake shops. The prices are not consistent either, with a coffee varying wildly from $2 to up to $7. Any place that was serving a coffee for over $5 I didn’t bother staying at. I know for some cities in Europe $5 would be normal, but the coffee prices were out of line in relation to the price of food. I left out some cafes that were not open when I visited. Some places didn’t open until 10 or 11 am (and one at 1pm! ), which is an odd time to be serving coffee. 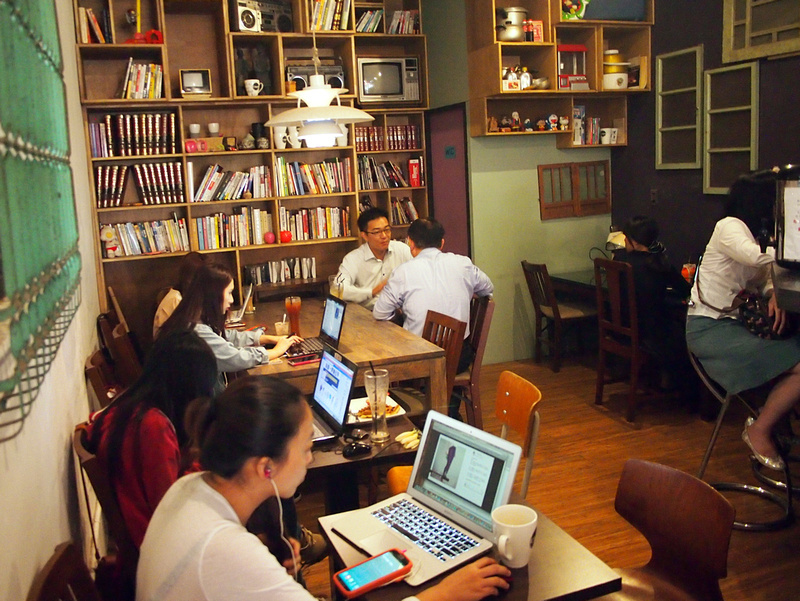 I also visited some excellent cafes but they were so small that they wouldn’t be suitable to crack open a laptop. 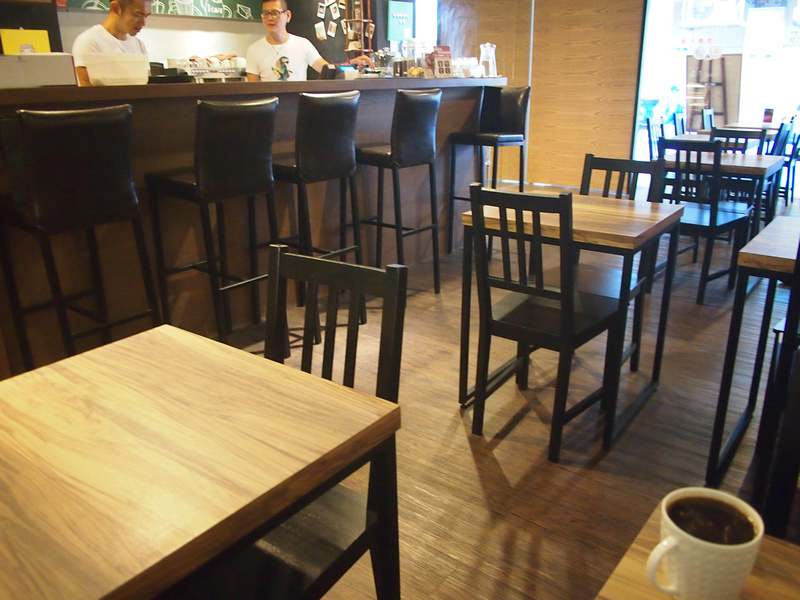 For this post I have only listed cafes that are suitable to work from. 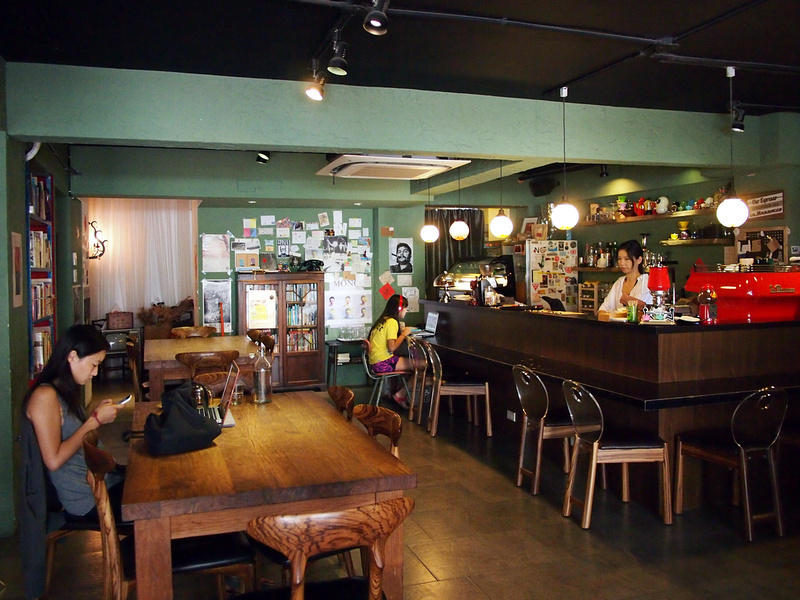 Direct link to the Taipei Cafes Map. 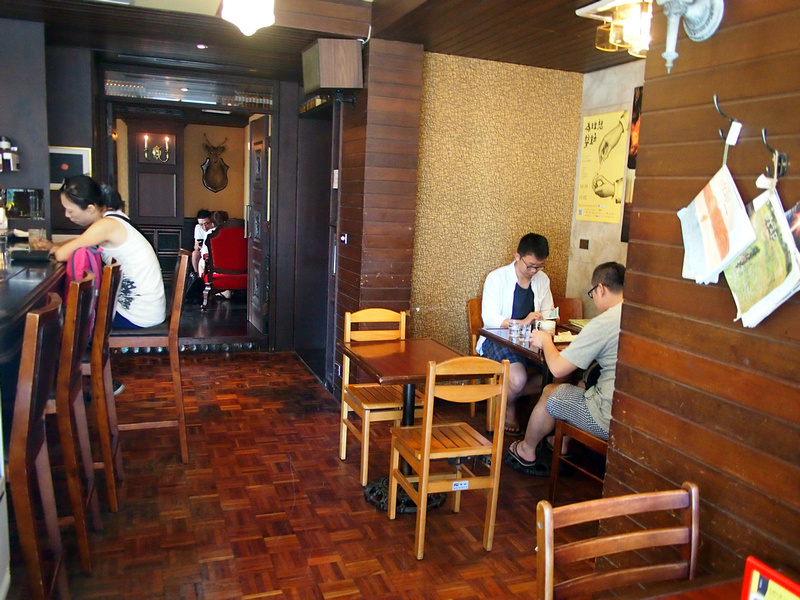 If you use Foursquare I have also made a Taipei cafes list. 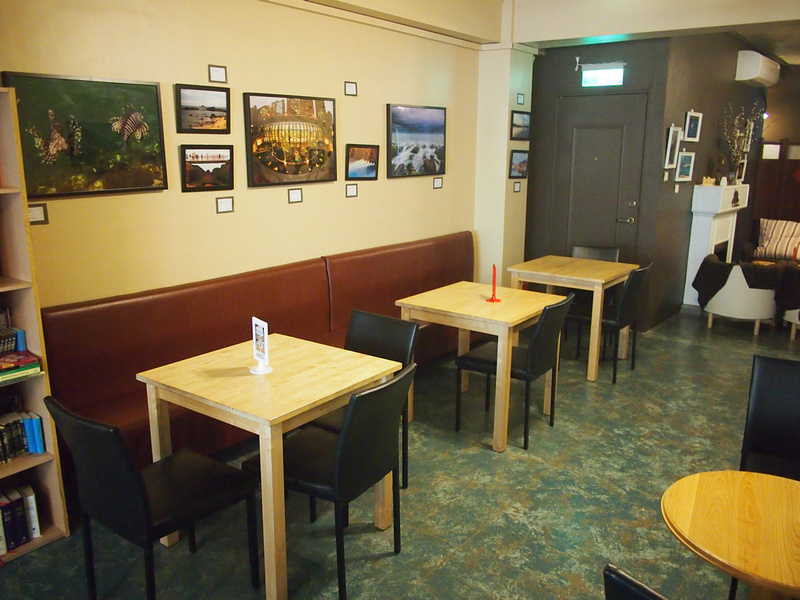 Notch is not far from the main train station and turned out to be my most regular cafe as it was open early. 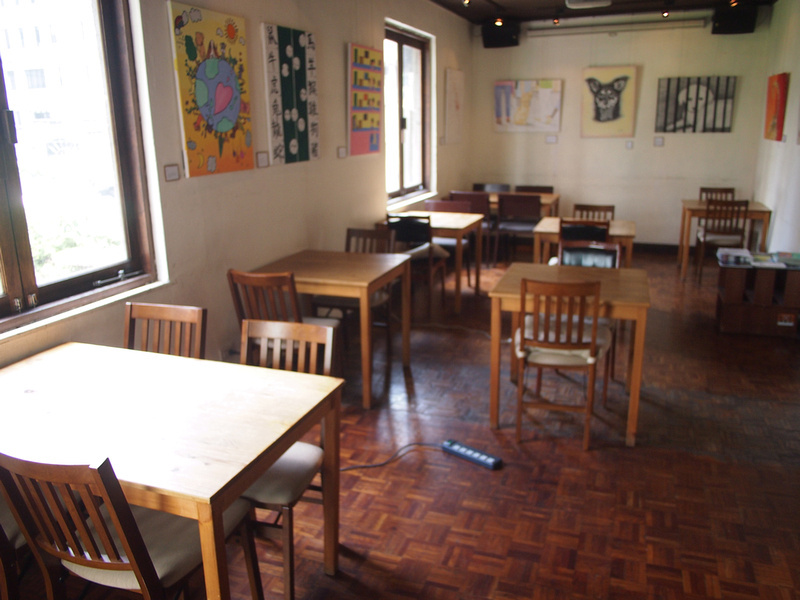 Quality coffee at a decent price, and there is more room to work upstairs. 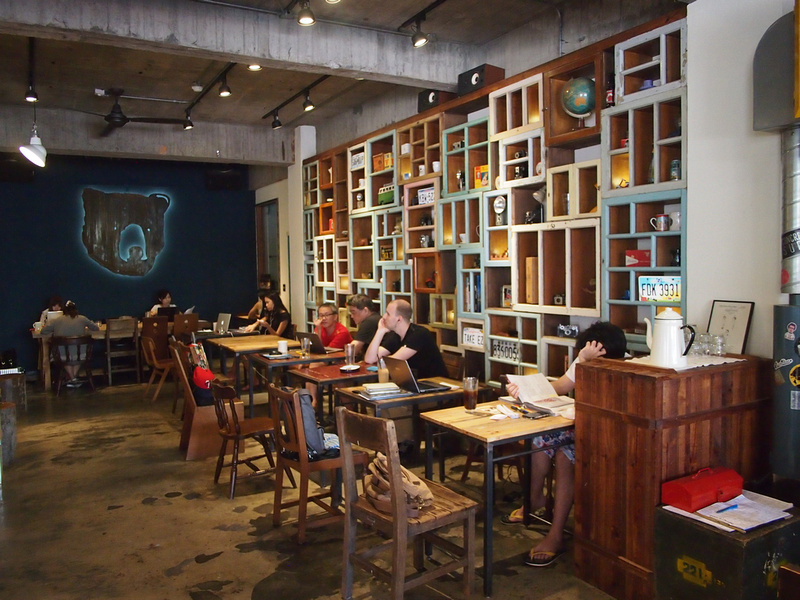 Nice little independent cafe in the Ximan area. This supercool cafe was one of my favourites. Good atmosphere with independent music playing in the background. 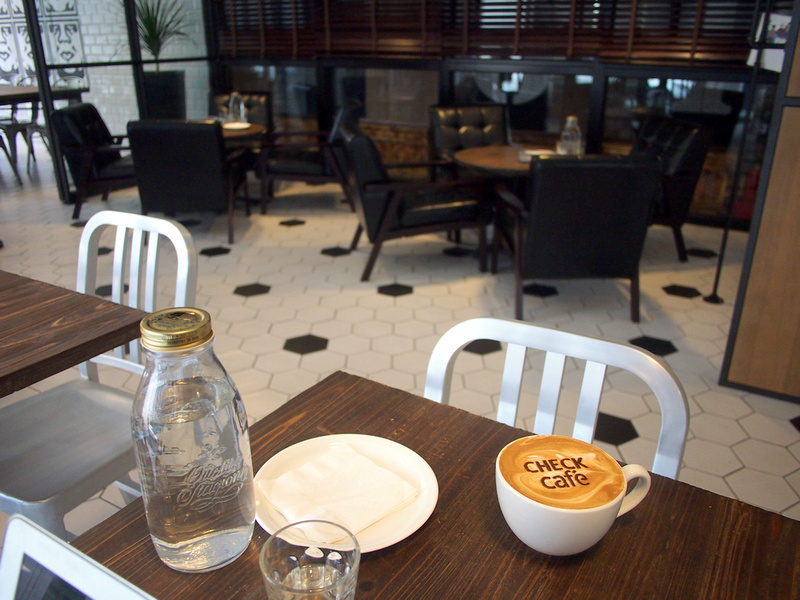 Cafe in “Hong Kong Lane” inside the lobby of the inHouse Hotel. Costumice is in a neighbourhood filled with with little boutique shops and restaurants and this cafe is the pick of the bunch. 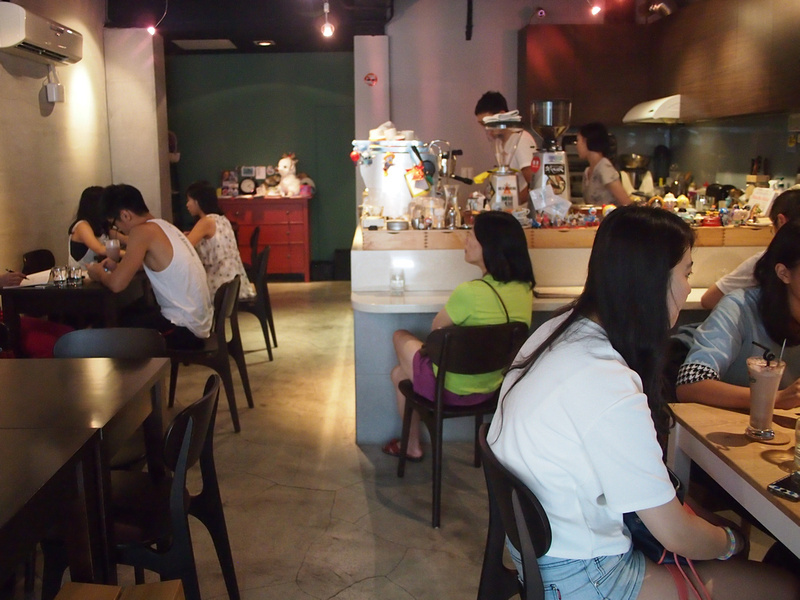 This cafe is more of a cake shop but it is a decent option to Costumice. 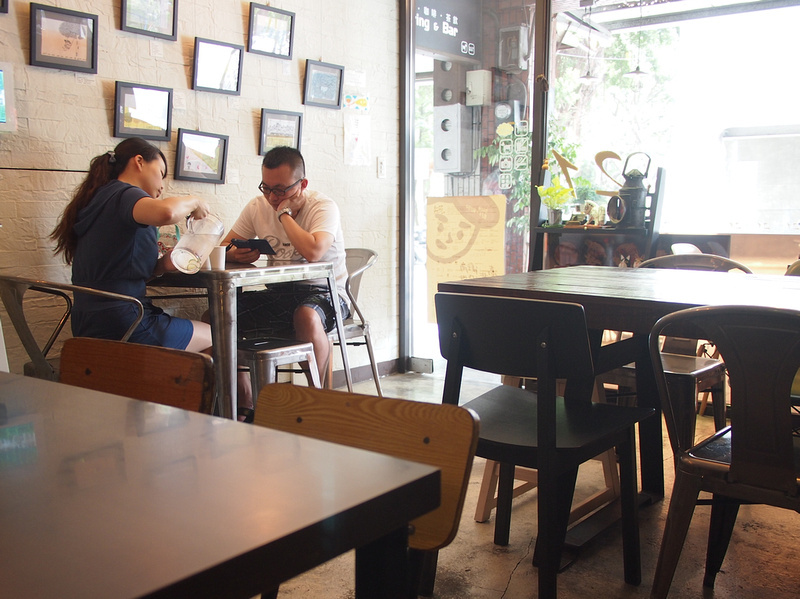 Rising Sun Coffee is a little cafe next to the Dalongdong Baoan Temple, so visit the temples and bring your laptop. The Aroma is a Christian cafe, just in case you prefer a separation of church and cafe, but if that doesn’t bother you they won’t bother you either. Location: No. 205 Hanzhong St.
Near the Dongmen metro station there is a wonderland of cheap places to eat and side streets dotted with cafes. Yaboo was my favourite in the area. Another good option in the Dongmen cafe quarter (not the actual name of the quarter, just one I made up). Helen Coffee is a big cafe catering for workers breakfast and lunch and is a decent option in this area. 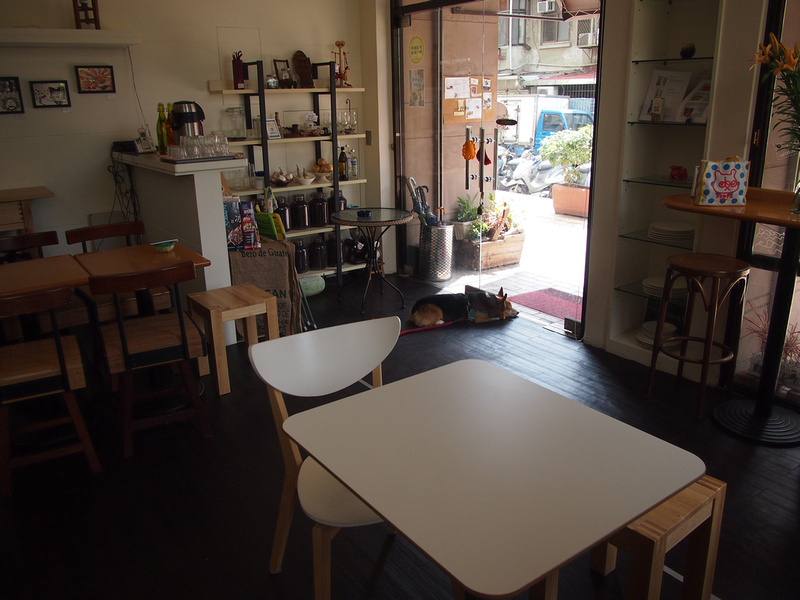 A small cafe that is good for breakfast. 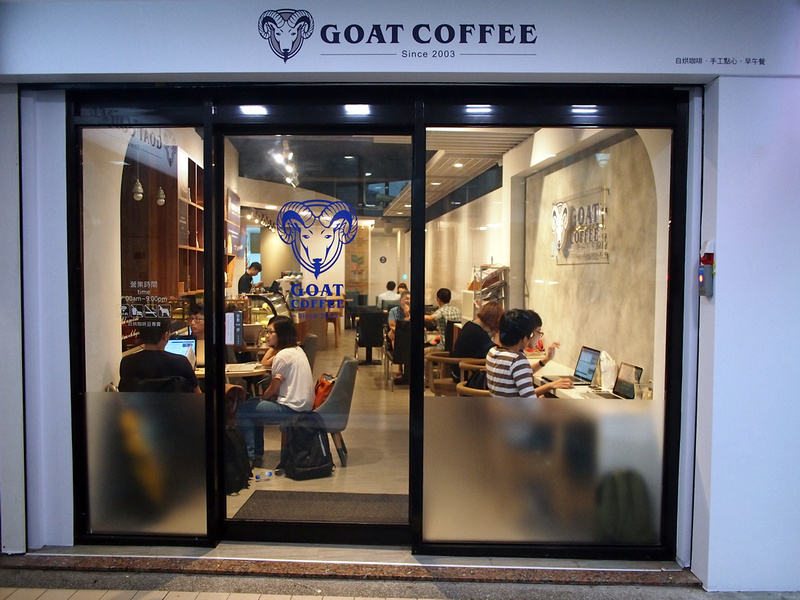 The cool name had me intrigued enough to go, and it turns out the coffee is pretty awesome too. 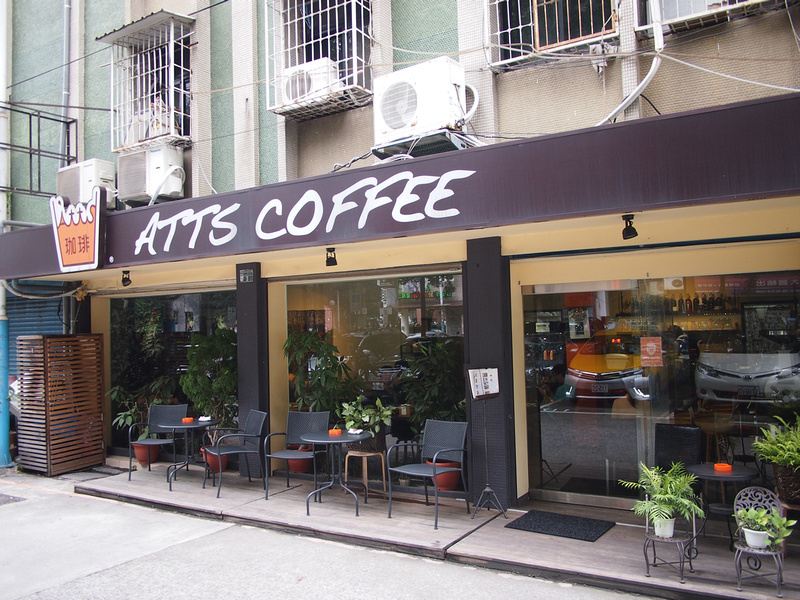 ATTS is run by a coffee geek from Japan and it’s worth going for the coffee alone. It gets busy at lunch so not the best time to be working. One of those cafes that isn’t open until midday but it comes recommended. 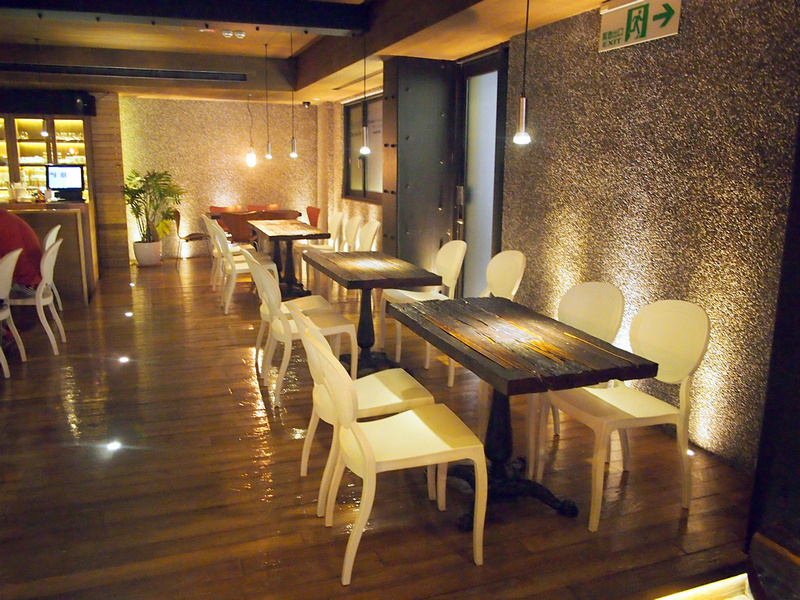 Location: 2F, No.36, Lane 236, Sec.1, Dunhua S. Rd. 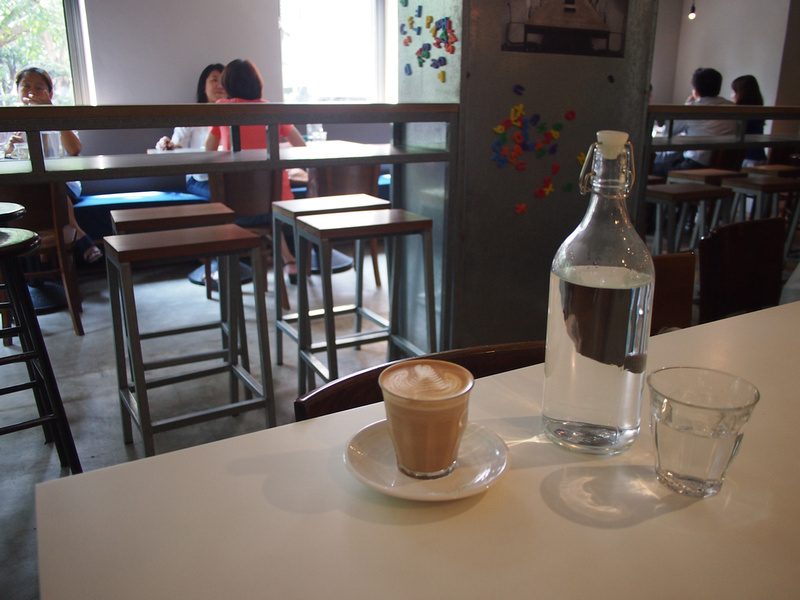 Good independent cafe vibe here with soft lighting, a mish-mash of 70s-inspired furniture, and western indie music. A decent option not far from the Raohe Street Night Market. Location: 715 Bade Rd Sec. 4. 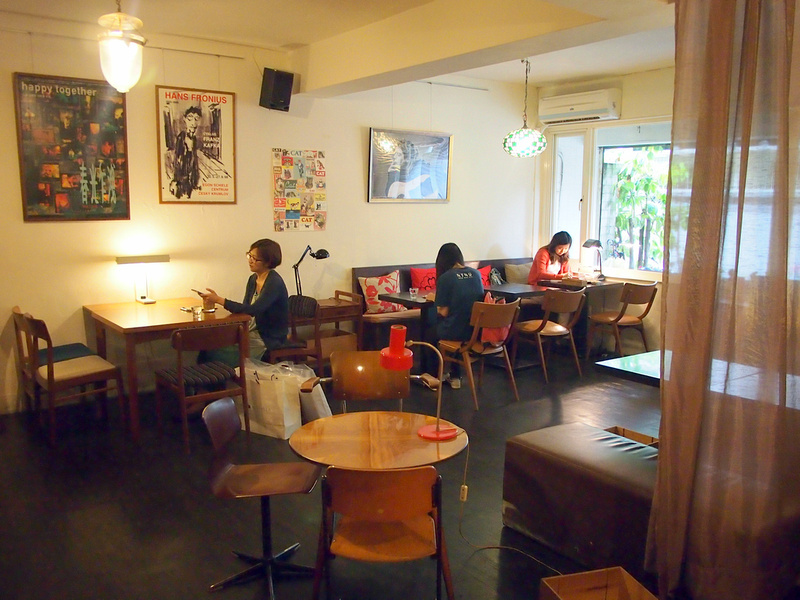 A homely cafe set in an apartment building. Comes with bonus resident dog. I saw the name “Woolloomooloo” and automatically knew that I was going to serve Aussie style coffee. Woolloomooloo is a suburb of Sydney (and perhaps my favourite Australian name) and the coffee was as good as I hoped it would be. I went to Fujin Street and they also at have a branch at 379 Hsinyi Road Section 4. This is a popular breakfast place and they serve cafe lattes in big cups. Location: Lane 166, XinYi Rd, Sec 3. Starbucks are here, of course, but if you want to use the internet you will need a local mobile number and use that to log into their Wi-Fi. 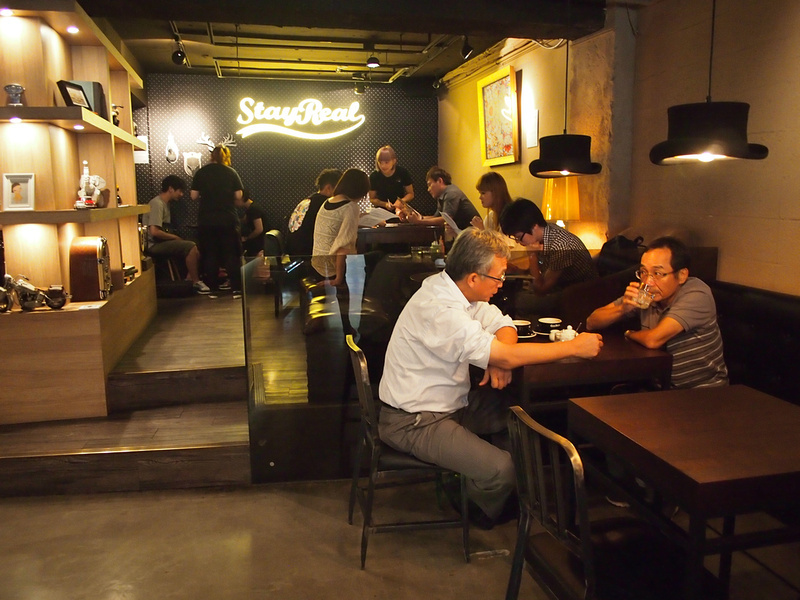 If you are going to be hanging out in chain cafes then you may as well give the locals a go, and here one of the big chains is Mr Brown Coffee. They have free wifi and the branches I visited had lots of space. 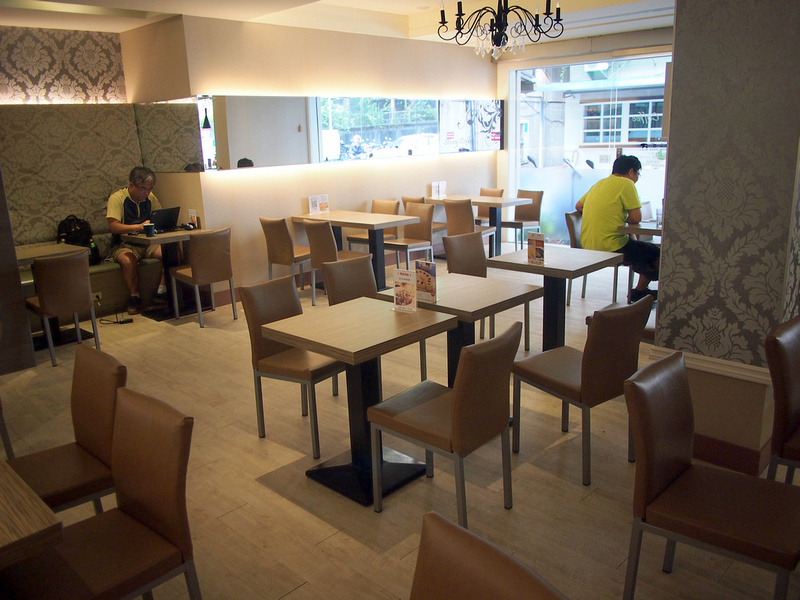 Ikari is another local chain that also offers wifi. Probably the best coffee I had was at the little hole-in-the-wall chain. 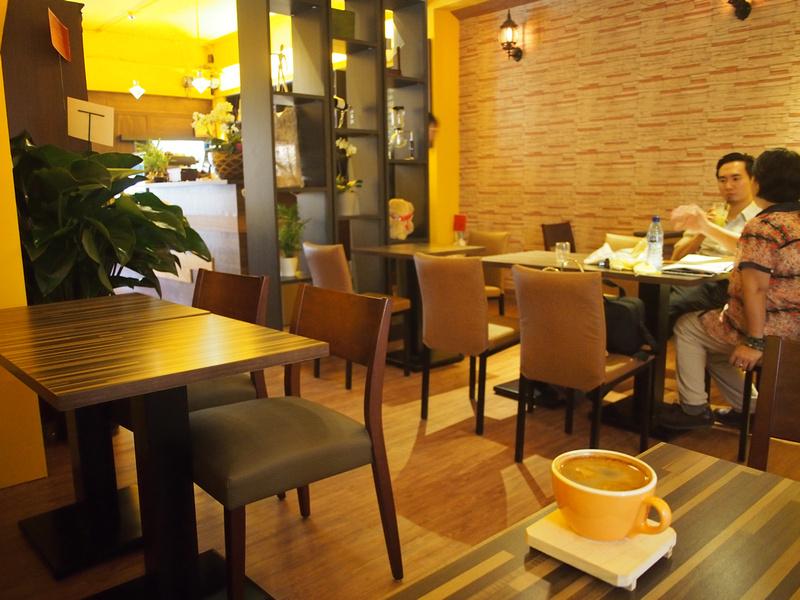 The shops are too small to work from but the coffee is excellent and a cheap price. Some of those places look amazing – really puts Bangkok to shame! 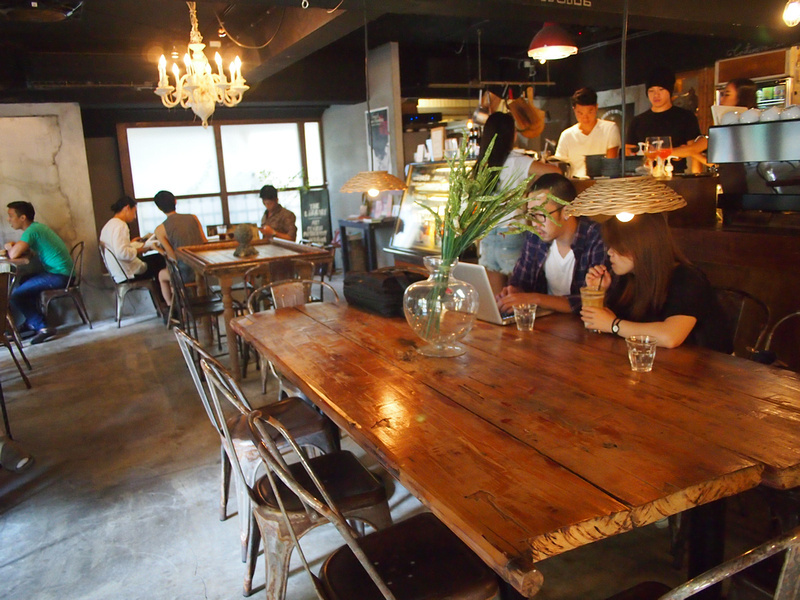 What sort of food do they serve in coffee shops like that – local fare or western? Do they have co working spaces out there too? Hi Joe, it’s a real mixed bag when it comes to food. Some cake shops, western places and local. There are some co-working spaces but I didn’t get round to checking them out. Great list! I’ll definitely be visiting some of these when I travel to Taipei next time! Glad you liked it as much as I did. I would have ended up at Cafe Junkies more often if it was near to where I was staying. james I don’t know but the ones you posted from Vietnam and Thailand are much better. Don’t you think? Great list there seems to be heaps of options which is good if you’re spending time in a cafe. Gives you the opportunity to change up the atmosphere. There’s one in the ‘east district’ near Zhongxiao something something station that has hammocks hanging from the ceiling instead of chairs! Nice ambiance for sure. Forgot what that one was called…. woolloomooloo rools! I think it should be spelled woolloomoolloo. Brian. What a great idea for an article! Some of these look really really cool. I’m heading to Taipei in a month, so will be sure to check some of these out then! Thank you so much for providing this awesome list. Great blog! Thanks for the post James – I’m in Taipei now, this was a great starting point. Cafe scene here seems great – I also find it a bit strange the (very large) amount of cafes not open till 11am, 12pm, 1pm. Thanks so much for the post, James! 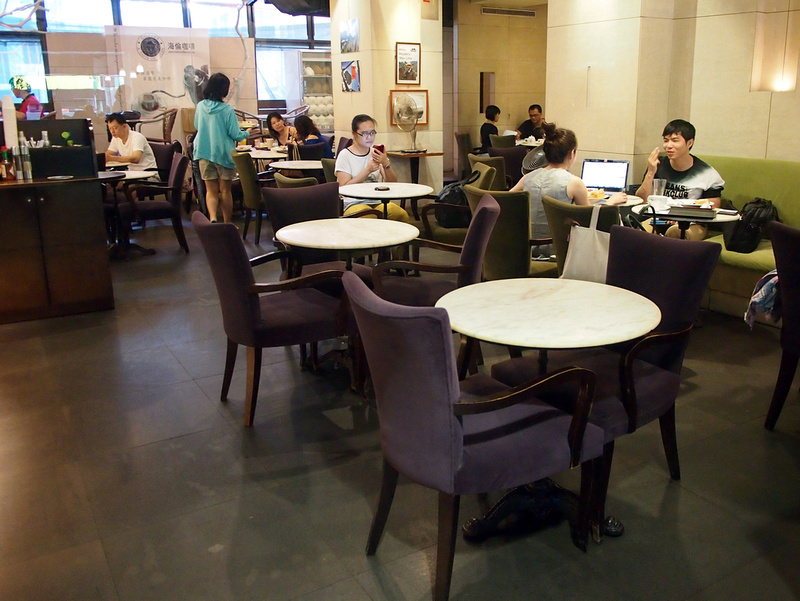 I am aware that you can work at anywhere in most of cafes in taipei, but some get crowded with afternoon tea crowds that I feel like I am get in the way. Where would you recommend to work from 9 to 6? cheers! Looks like your list needs an update friend, many of these places have drinks for well over 10$ now, which is, as you say, a bit stupid compared to the price of food here. I don’t like paying 3-4x the price of my dinner for a glass of tea with ice.